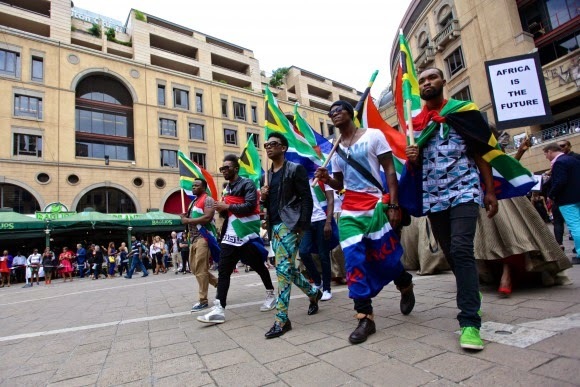 South Africa’s foremost established and emerging designers will converge on Melrose Arch, Johannesburg from March 5-7 to kick off South Africa’s fashion calendar with their latest Autumn/Winter 2015 collections at Mercedes Benz Fashion Week Joburg (MBFW). 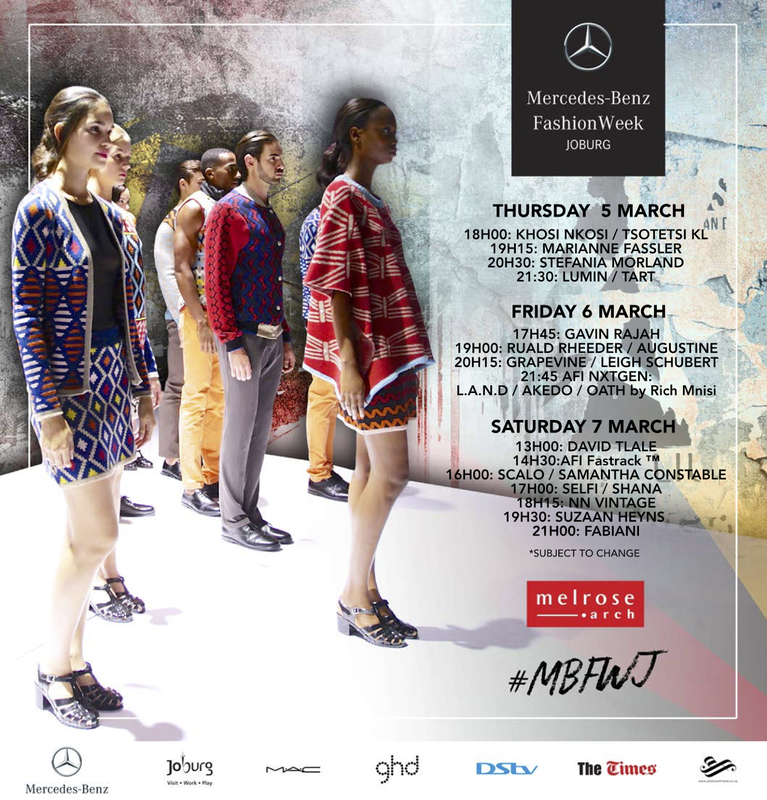 MBFWJ will set the standard for a season of sartorial success and continue to draw local and international buyers and media. The primary focus of MBFWJ for 2015 is to foster the creative independence of talented new artists emerging from South Africa and to provide retail opportunities for the designers. Sizwe Nzimande (Africa Fashion International spokesperson) explains ‘we want to provide the international fashion community with a glimpse into the unique and innovative nature of African design and creativity’.